The Greenway 316 Alumni Association Hall of Fame was founded in March 2005 to annually recognize outstanding Greenway alumni who have achieved distinction in their life and chosen field through significant contributions to their career, community, or personal lives. 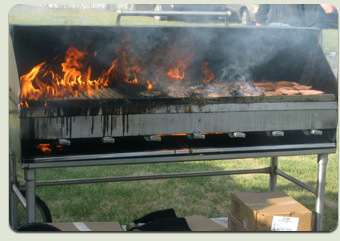 The Hall of Fame Induction and Golf Outing are traditionally held the same weekend as the Tailgate Party which is the first home football game. Tail Gate Party which started 2002 has become the annual fundraising activity for the Greenway Alumni. Traditionally held at the first home football game in Coleraine, we sell hamburgers, chips and pop to kick off our annual membership drive as well as the football season. Come and join us, wear your green, and renew old friendships.